Louis Legrand was a French painter, printmaker and draughtsman. He trained at the Ecole des Beaux-Arts in Dijon and in 1884 moved to Paris, where he worked as a caricaturist and political satirist for La Journée and Le Journal Amusant and from 1887 for the more influential Courrier Français. He received a brief prison sentence for a mildly obscene satire in Courrier Français on Emile Zola. About 1885, he met Félicien Rops, who taught him the techniques of etching. In 1891, he produced a series of watercolors for the magazine Gil Blas, depicting dancers warming up for the can-can. 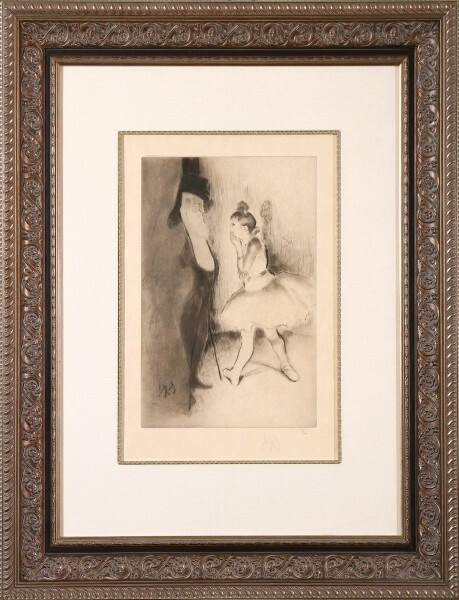 These proved so successful that he was asked to produce 11 etchings on a similar theme, Danse, Fin de Siècle (Paris, 1892). This success brought him to the attention of Gustave Pellet, one of the best print publishers of the period, who published his 15 lithographs, Au Cap de la Chèvre (Paris, 1892). 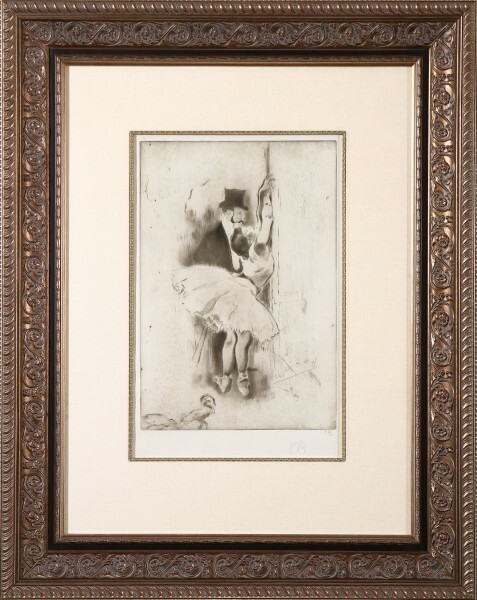 It was followed by a set of etchings depicting ballet rehearsals, Les Petites de Ballet (Paris, 1893). 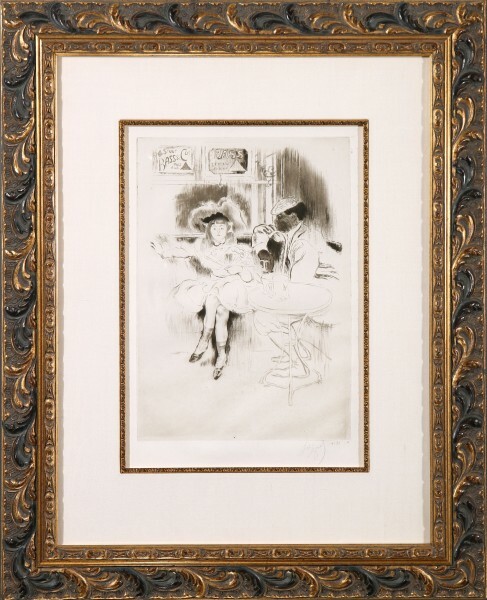 He excelled in etchings of bars, cafés and other turn-of-the-century social scenes; later albums of these subjects included La Petite Classe (Paris, 1908) and Les Bars (Paris, 1909). He also produced landscapes such as Les Bords de la Marne (1905, Paris). His work in other areas tended towards the sentimental, however, as in Charles VI (1909, Paris).